A sobering revelation of how drastically the concept of turning wrong into right took off in Poland. It is known that when issuing that statement, Cardinal Glemp still opposed the thought that the Polish nation should bear responsibility for the massacre, and clear evidence of his attitude to the question was when he refused to participate in the 60th anniversary commemoration of the massacre in Jedwabne at which a memorial was erected there. It was during that ceremony on July 10, 2001 that then Polish president Kwasniewski apologized for Polish complicity in that terrible war crime. Why did Cardinal Glemp, internationally notorious for the open anti-Semitism for which he had been forced to apologize publicly, make that statement, so exceptional for him, in the first place? According to historians and some Vatican insiders, it happened after the direct intervention of Pope John Paul II, who influenced the primate of church in Poland to consider the facts of Jedwabne as they were. Pope Saint John Paul II, born Karol Wojtyla in Poland, was one of the most outstanding figures of our times in many respects, and his stand against anti-Semitism caused a revolution inside the Vatican and the Catholic church in general. He was the first Pope who visited Auschwitz, just half a year after being elected, during his second pastoral visit and he was the first Pope who visited Yad Vashem in what was a dramatic visit, not a mere formality. He was the Pope who established relations between Vatican and Israel. He was the first Pope who came to the Kotel, touched the stones of our Temple, and put his note there asking for forgiveness for the atrocities against Jewish people. He was the first and the only Pope whose idea it was to organize a special memorial concert in the Vatican in memory of the six million murdered Jews, an event which he hosted. He was the first Pope to ever visit a synagogue, meeting cordially and several times with the Chief Rabbi of Israel Yisrael Meir Lau, also receiving a Jewish priestly blessing shortly before his death. He was the Pontiff who issued several important documents not only on Christian-Judean relations in history and theology, but on the Shoah which he always used as the term for the destruction of European Jewry. This brave, intelligent, honest and strong man, a unique Pope, a Pole who did understand Jewish history and the Shoah. We have his testimony in writing, from the important, but rarely recalled, and rarely applied, document called We Remember: A Reflection on the Shoah prepared by the Vatican Commission for the Relations with Jews on the initiative of and in close cooperation with Pope John Paul II, who supervised the document word by word. The document was created to be a guiding outline for the Catholic church and its believers world-wide in their attitude to the Shoah and the Jewish people. It was presented at a special press-conference on March 16, 1998 by Cardinal Cassidy. 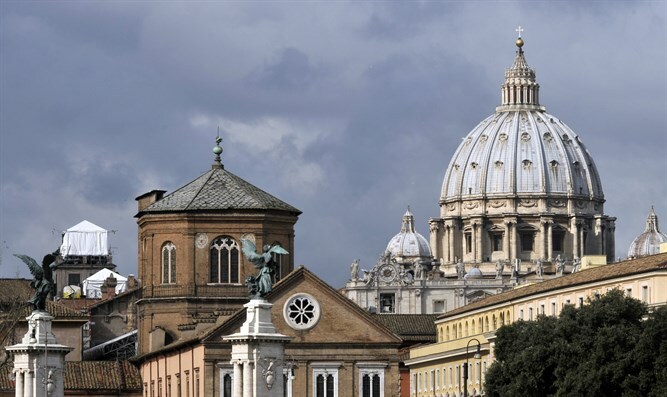 Today, the document is part of the Vatican Archive. “ (..) it may be asked whether the Nazi persecution of the Jews was not made easier by the anti-Jewish prejudices imbedded in some Christian minds and hearts. Did anti-Jewish sentiment among Christians make them less sensitive, or even indifferent, to the persecutions launched against the Jews by National Socialism when it reached power? [...]. "In the lands where the Nazis undertook mass deportations, the brutality which surrounded these forced movements of helpless people should have led to suspect the worst. Did Christians give every possible assistance to those being persecuted, and in particular to the persecuted Jews? Many did, but others did not. Those who did help to save Jewish lives as much as was in their power, even to the point of placing their own lives in danger, must not be forgotten. During and after the war, Jewish communities and Jewish leaders expressed their thanks for all that had been done for them (...)." Nevertheless, as Pope John Paul II recognized, alongside such courageous men and women, the spiritual resistance and concrete action of other Christians was not that which might have been expected from Christ's followers. "We cannot know how many Christians in countries occupied or ruled by the Nazi powers or their allies were horrified at the disappearance of their Jewish neighbours and yet were not strong enough to raise their voices in protest. "For Christians, this heavy burden of conscience at the inaction of their brothers and sisters during the Second World War must be a call to penitence." Rarely,are public figures of the our time able to formulate ideas as lucidly as Dr of Moral Philosophy Karol Wojtyla, known to humanity as Pope St. John Paul II. "This was a particularly cruel crime. It is justified by nothing. (...). The victims were helpless and defenceless. The criminals had a sense of being unpunished since German occupants incited them to such acts. We know with all the certainty that Poles were among the oppressors and assassins. ( …). "We are standing on a tormented land. The name Jedwabne, by a tragic ordain of fate had become for its today's citizens a byword recalling to human memory the ghosts of fratricide. It is not only in Jedwabne that superstitious prejudice was enkindled into the murderous flame of hatred in the "furnace era". Death, grief and suffering of the Jews from Jedwabne, from Radzilow and other localities, all these painful events which lay a gloomy shadow on Poland's history are the responsibility of the perpetrators and instigators. "Let us all be the citizens of Jedwabne today. Let us feel what they feel! (...). Thanks to a great nation-wide debate regarding this crime committed in 1941, much has changed in our lives in 2001, the first year of the new millennium. Today's Poland has courage to look into the eyes of the truth about a nightmare which gloomed one of the chapters in its history. "We have become aware of the responsibility for our attitude towards the dark pages in our history. We have understood that bad service is done to the nation by those who are impelling to renounce that past. Such attitude leads to a moral self-destruction. (...). "For this crime we should beg the souls of the dead and their families for forgiveness. This is why today, the President of the Republic of Poland, I beg pardon. I beg pardon in my own name and in the name of those Poles whose conscience is shattered by that crime." President Kwasniewski ended his truly rare speech with an imperative - To turn the wrong into the right. There were a lot of people in Jedwabne on July 10th, 2001, 60 years after the massacre. They all listened to the president in attentive silence. In ten years time, in July 2011, that same person, former president Kwasniewski visited Jedwabne again, this time it was the 70th commemoration of the massacre. There were barely a few dozen people instead of thehundreds a decade ago. It is sobering to observe how drastically the concept of ‘turning wrong into right’ could be changed in Poland in no time. “Which year we are living here (in Poland) today? 1934? Or is it 1935? And my main worry is on how to avoid the year 1939” (Marian Turski in interview with Dorota Wysocka-Schnepf, TV-Wyborcza, 14th February, 2018). And I cannot help myself from thinking: if a Holocaust survivor who lost his family, went through living hell, now 91 years old has to describe his feelings in his country in this way, the situation in Poland in 2018 is truly precarious. It seems to me though, that those in Poland who are enjoying currently the second-hand carnival of their loud, vulgar, and crude racism and who are applying it hastily into the system of life in Poland, those who are frantically re-writing history there in a low-brow, utterly provincial hope that it will stay that way for good, under-estimated the people who are led by such universal humanist authorities as our dear friend Marian Turski. “Today, we can see the symptoms of the releasing of demons in our country. The worst thing about that process, as we saw from the history of the WWII and Holocaust, is the inert, the biggest, part of society which starts to accept, gradually, what the demons brings with them: first limitations in work and study, then boycott of stores, then ghettos, then concentration camps... To release the demons it takes only a fracture of a second; to put demons back is an arduous process. What we are seeing today gives me a great sadness because it is huge recession to the point of many years back, and the damage might last also many years, because we are dealing here with a state of mentality which is in the process to be distorted again, as it was in 1968. A severe mental wound had been inflicted upon the Jewish people already, and we have to resist it from happening any further, from it to be accepted by the society as a norm, again. Defy the demons, oppose them, do not let them to become a natural part of your daily life, of our reality”. In September 2004, I received several telephone calls from both the Vatican and Poland, from good friends, people who were close to the Pope. I was invited to come to theVatican, any time soon, as His Excellency the Pope wanted to talk to me. It happened shortly after I was filming in Auschwitz and the Cracow ghetto for the second time, and after my husband gave master-classes at the Auschwitz Historical Jewish Centre on How to Reflect on the Holocaust in Visual Art to non-Jewish, Polish and international youth, in connection with his exhibition at the Centre. Michael’s exhibitions featuring powerful but self-contained series on the Holocaust had been shown eliciting much interest from the Polish public in Crakow, Oswiecim, and Warsaw, at the Jewish Historical Institute, just across the street from the blown up Great Warsaw Synagogue. It is not every day that you are called in to come to talk with a Pope. But my mom’s terminal cancer was in its final stage, and it prevented me from making the trip to the Vatican immediately at the time, I knew the topic which Pope John Paul II wanted to talk to me about. His Excellency wanted to talk to me on the camera, importantly, on his attitude on the Shoah. Despite all that the Pope did with the regard to the Shoah, there was no his filmed talk about his reflections, memories, his understanding, his essential feeling of what Shoah was for him personally, and it was important for him to have it recorded in that way. In September 2004, a little over half a year before his death, he felt it was the time for that. He was already quite ill then, but the details of his health were kept to the very close circle inside the Vatican. The clock was ticking, with us not realizing it enough at the time. My mom’s cancer was progressing rapidly, very much in parallel, time-wise, with the path of the illness of the Pope. And I was completely occupied with the ending of the life of my mother. From the beginning of 2005, John Paul’s II health deteriorated quickly, and in February 2005 he had a tracheotomy which put any idea of filming our conversation off the agenda. My mom passed away a month before the Pope, in early March 2005. And I flew to her funeral from Rome, leaving that last conversation with the Pope John Paul II unfulfilled. I cannot say enough how sorry am I about that missed opportunity to film the reflections and thoughts of the Pope Saint John Paul II on the Shoah, to hear and preserve what that he wanted to tell to us about it. 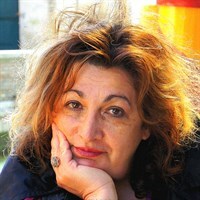 INNA ROGATCHI is writer, scholar and film-maker working in the area of inter-crossing in between history, culture and mentality. The theme of Holocaust and post-Holocaust has a central place among her subjects of interest. She is the author of the internationally acclaimed The Lessons of Survival film on Simon Wiesenthal. Her forthcoming book is A View From the Cattle Wagon ( 2018), the collection of essays on post-Holocaust. She is the author of Shining Souls. Champions of Humanity cultural and educational project from The Rogatchi Foundation Outreach of Humanity series. She is co-founder and President of The Rogatchi Foundation.